Charlie can’t wait to go the carnival, but first his mum must find his party hat and red balloon. While she’s searching, Charlie imagines all the wonderful things they might see: lemonade rivers and lollipop trees, elephant taxis and a cake as big as a town square. 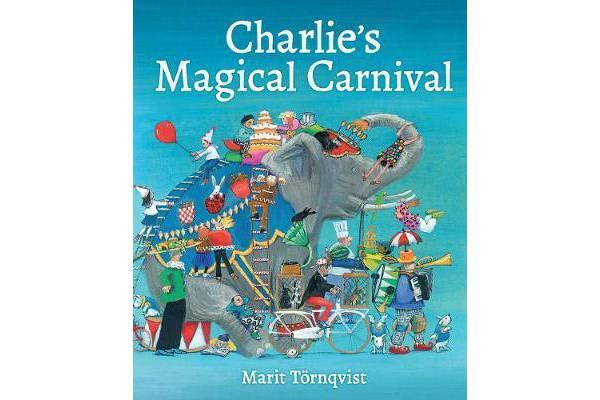 When they finally arrive at the carnival, it’s even more amazing and magical than Charlie had hoped. 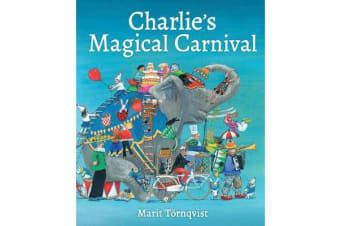 This beautiful book, from award-winning children’s author and illustrator Marit Toernqvist, celebrates the intensity of children’s imaginations and their ability to see their make-believe worlds as reality. Children will love following Charlie on his adventure revealing the secrets of the many fold-out pages and exploring illustrations that are a riot of colour. Marit’s vibrant artwork is accompanied by a lyrical story of awe, adventure and the loving relationship between a parent and child.